Home ⁄ Archive by Category "Kitchen Guides"
Little spaces tend to make people feel liberated or limited. In the amazing dishes Shanna Mallon of Food Loves Writing whips up, you would not believe she was working from a simple 100-square-foot kitchen in her Nashville, Tennessee, apartment. Shanna and her husband, Tim, love to cook and they understood a simple kitchen could work best for their shared enthusiasm. Clean counters and nominal accessories make cooking cleaning and — — considerably easier for this particular culinary bunch. Shanna makes the most of the counter space by employing every available inch. A toaster oven is one of the only appliances out on the counter tops. Little cutting boards make it effortless to move the prep area and clean up after meals. Q. What’s the toughest part about cooking in a small kitchen? A. Feeling limited — when you have no pantry or island, you may begin to feel as if there are things that you can not do, like store extra flours or have friends over to cook. Dry products and compact appliances have been tucked away in cabinets or in addition to the fridge. Accessories are kept to a minimal, with the exclusion of beloved photographs on the fridge. The clean palette is soothing and promotes organization. Q. What’s 1 storage or space-saving suggestion you’ve discovered to make cooking in a small kitchen simpler? A. Be flexible. Store flours somewhere else and look at shared cooking as a means to construct intimacy. Plenty of times, just establishing another mind-set is half the battle. 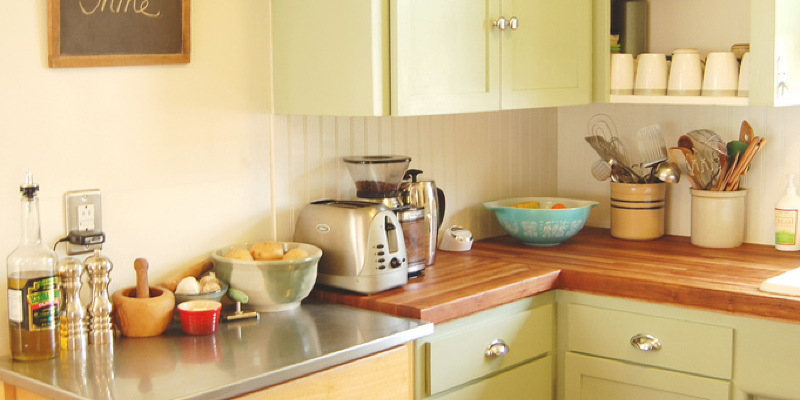 Think beyond the kitchen, or beyond the common cabinets and countertops. We keep mason jars in a cupboard in the dining area and extra dry goods in addition to the fridge so as to free up valuable workspace. Shanna’s crunchy and creamy avocado fries and yogurt sauce have been a huge hit among her readers that are online. Using fresh ingredients in unique, simple applications is part of what makes her blog so appealing. 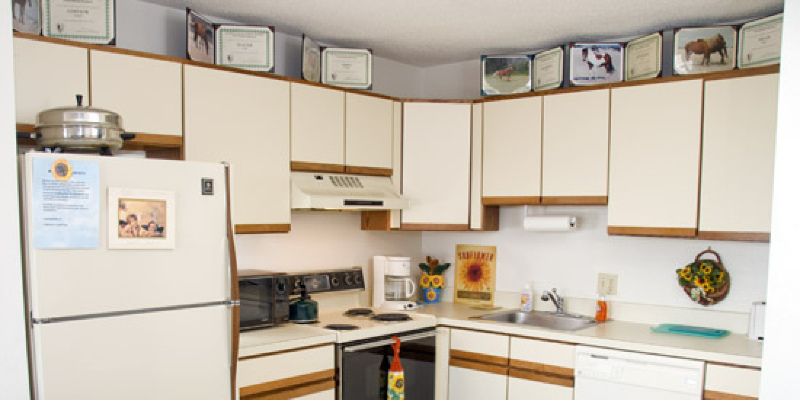 The artichoke artwork on the far wall is one of the few pieces of decor in the kitchen. Shanna took the picture herself had it published on a 16- by 20-inch canvas. A. With a window over the sink! I can not say enough about organic light, in the kitchen and everywhere. After a few rounds of experimentation, Shanna created the recipe for this succulent-looking pot roast. She likes to utilize grass-fed steak and button mushrooms on cold winter nights. Q. What’s your go-to dish for a dinner party at home? A. once we wish to do something unique for friends, our go-to is obviously our fork-tender grass-fed pot roast. I have been producing it since the days of long-distance dating, when I was in Chicago and Tim in Nashville, and he was the one coming into town and over for dinner. Now when we make it it is just like a part of our story. Sometimes a rental kitchen is greatest when stripped down to the basics. Shanna and Tim’s simple distance promotes their culinary imagination. Q. 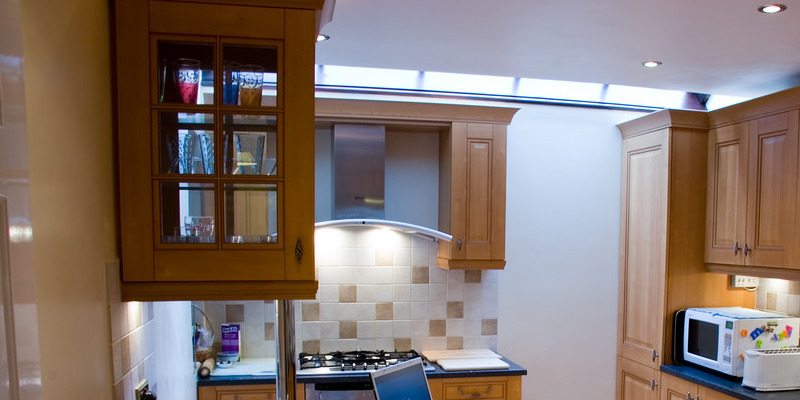 What do you expect to change on your own kitchen in the near future? A. I would really like to find a few small succulents for the window. Right now we have just a little aloe vera which brightens my days when I see it thriving in the sun, and it is amazing how low maintenance and simple it is to care for. I believe adding a few more greens into our space will fill it with even more life.